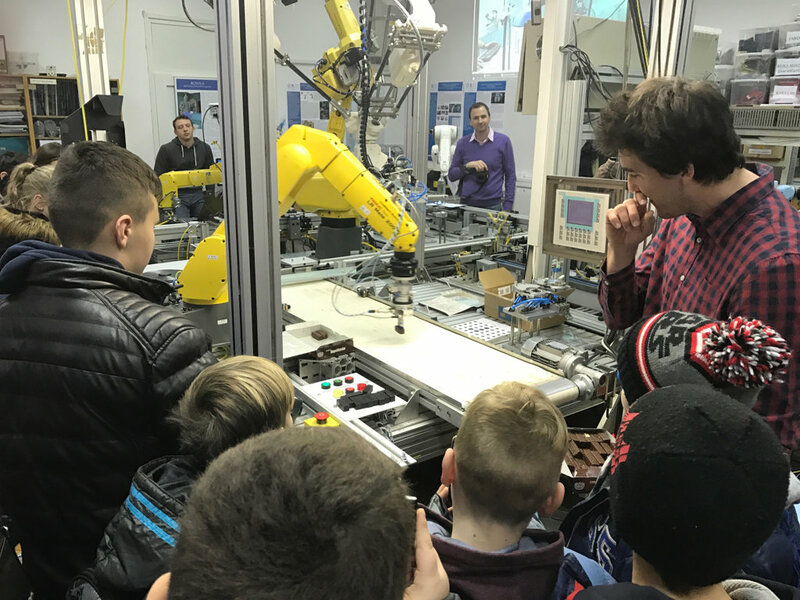 In the period between the 23rd and 27th of January, students from the eight experimental schools visited the Faculty of Mechanical Engineering and Naval Architecture at the University of Zagreb, accompanied by their class-teachers. Two fifth grades from each school participated in the visit. After a welcome speech given by the Faculty's representative, the students were shown an educational video which served to better acquaint them with the type of programs on offer, the skills future graduates acquire, and the jobs which they can later do. Students then visited some of the laboratories where they received short demonstrations and lectures about the different domains in mechanical, naval and aeronautical engineering; the research of the labs; as well as the applications of technological solutions to the wider scope of human activities. 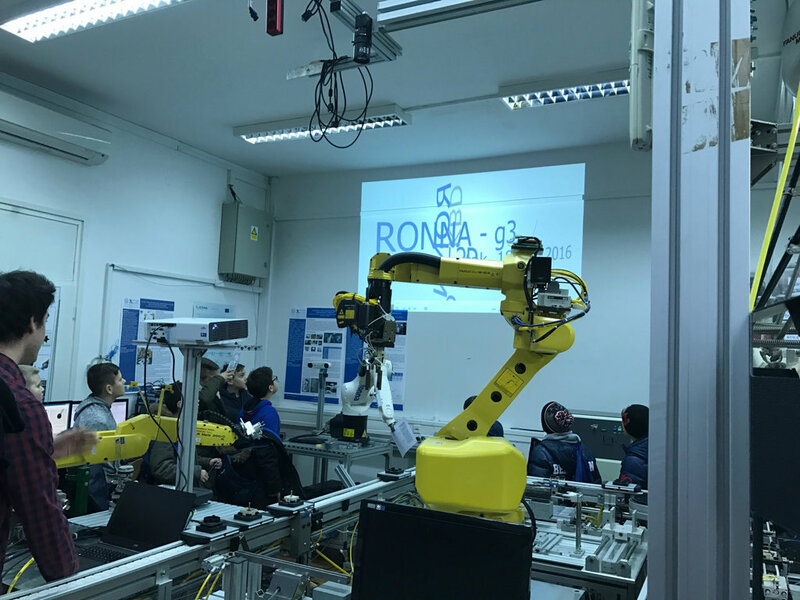 For instance, at the Department of Robotics and Automation of Manufacturing Systems, they had the opportunity to watch a video about the robot Ronni, built at the Faculty, used in complex neurosurgical interventions. They also observed the speed of the start up of a robot used in the auto industry, as well as a packing robot who can replace human workers on an industrial packaging line. In their visit to the CADLab, they were taught about the development processes of different products. 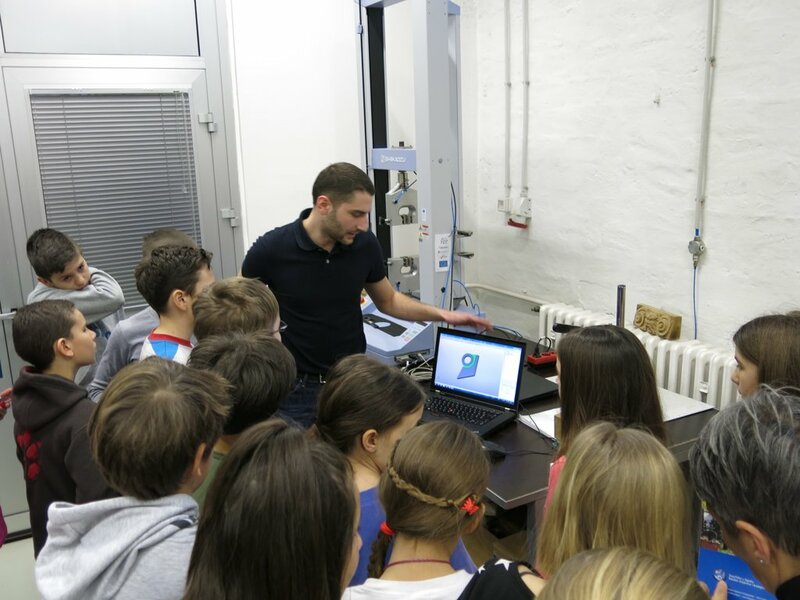 Students were given a chance to see a 3-D printer at work, one which can produce the most complex geometrical shapes by applying so-called additive technology (adding materials layer by layer). Guided by the professors, students also controlled a robot using a mobile application and could test different automated machines.At the Department of Aeronautical Engineering, they were acquainted with several types of unmanned aerial vehicles and their application in terrain surveillance. Except for the aforementioned, the visit included a couple of other departments and laboratories, such as the Power Engineering Laboratory, Laboratory for Welding, and the Laboratory for Production and Assembly Systems Design. Students were encouraged to ask questions of the professionals and teachers of the Faculty, and were given the opportunity to engage with some of the presented processes through games and teamwork. 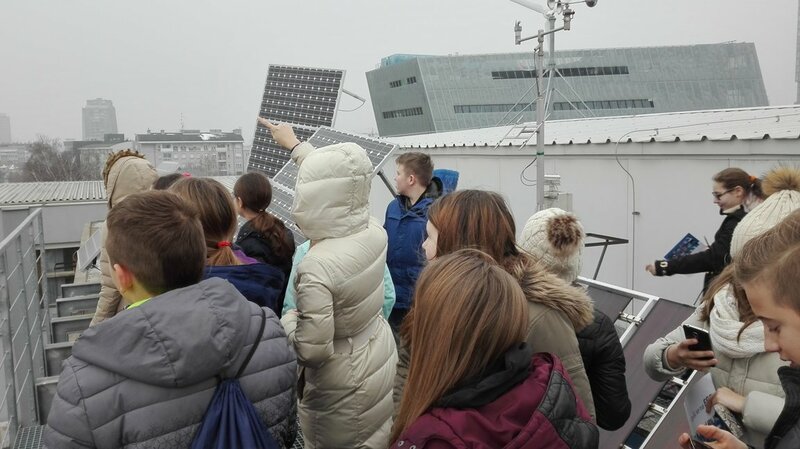 A follow-up with the students and teachers showed that their interest in the presented materials was high, and their impressions of the overall visit were extremely positive.